Today I want to talk about hypnotic trance. This powerful and completely natural tool is a motor to unlock past experiences in your mind so that you can understand them. Trance can help you change unwanted habits and behaviours, improve performance and find closure and forgiveness for past hurts. In order to be able to go into trance, a good client/therapist relationship needs to be established first through rapport, detailed questioning, understanding and listening. When the hypnotist shows empathy and understanding, takes your problem seriously, asks relevant questions and listens intently to what you’re saying (and, of course, what you’re not saying), you can relax and build a trusting, professional relationship. The hypnotist will then be able to reassure you that you can never do anything that you don’t want to do in trance. This is because you are, contrary to popular misconception, highly aware during the trance stage of hypnosis, not unaware. In fact, you’re much more highly aware than with your eyes open and a zillion things going on around you! In trance, you enter your inner world by deeply relaxing and letting go of your need to control your thoughts and moves. You learn to trust your instincts and spontaneous ideas which are more easily accessible when you are deeply relaxed and in a safe environment with a trusted professional. A trance can be induced in a number of ways. There is the “instant induction” that you often see stage hypnotists using (very dramatic-looking and, in fact, highly effective, especially if the client is finding it difficult to let go of control). But usually, the hypnosis coach or therapist will prefer a couple of different methods, like looking up into your eyebrows and letting your eyelids get heavy and close. 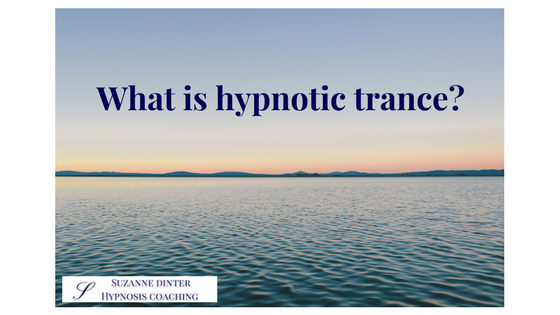 The hypnotist has a number of ways she can deepen the trance, such as describing that you are going down a flight of steps and counting down from 10 down to 1. Once the hypnotist is happy with the client’s trance state, the therapy can continue (because it actually started with the very first phone call, continued in the interview and is explored more deeply in the trance stage). How Do You Feel When You’re In Trance? Well, I’ve been hypnotised a number of times and also practice self-hypnosis. And I can tell you, it feels really relaxing! You feel closer to your emotions, which is a good thing if you want to find out when and where your fixed ideas began, to release old patterns or behaviours and replace them with new, positive ones. You feel highly aware of your inner world and find it easy to tap into your mind’s archives. And it’s effortless to tune out things that are going on around you (such as a lorry driving by or someone talking in the hallway). In the early days, my phone rang once while my client was in trance! I was horrified, quickly switched it off and continued as if nothing had happened. Afterwards, I apologised but the client had no idea what I was talking about! Of course, I am extremely careful to never let that happen again. But it just goes to show how unaware you are of things going on around you when you’re in trance, and how focused you are instead on your inner world of feelings, emotions and past events. So how do you come out of trance? Well, some people express a fear of “what if I don’t wake up?” I can reassure you and all of my clients that even if you didn’t become fully aware after I count you out of trance, you would “wake up” naturally a few minutes after I stop talking, just like you do in the morning even if you don’t have an alarm set. How do you feel after coming out of trance? Refreshed, relaxed, invigorated, excited and full of energy. I feel like I’ve recharged my batteries! Trance is so much more relaxing AND energising than a nap that nowadays, I take a self-hypnosis break twice a day instead of meditating or sleeping. Would you like to find out why you do certain things that you’d rather not? Or find understanding, clarity, closure (and even forgiveness) for a past event in your life? Become the best version of yourself so that you’re free to excel? Then why not give hypnosis a try? 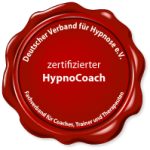 It’s so exciting and wonderful what you can achieve and learn through hypnosis. Nothing can touch it or come close to it for effectiveness. Book your free, initial contact call here and tell me what you’d like to change or what you’d like to find clarity with. Thanks for reading and I’m looking forward to serving you again soon! p.s. Find out how we can work together here.